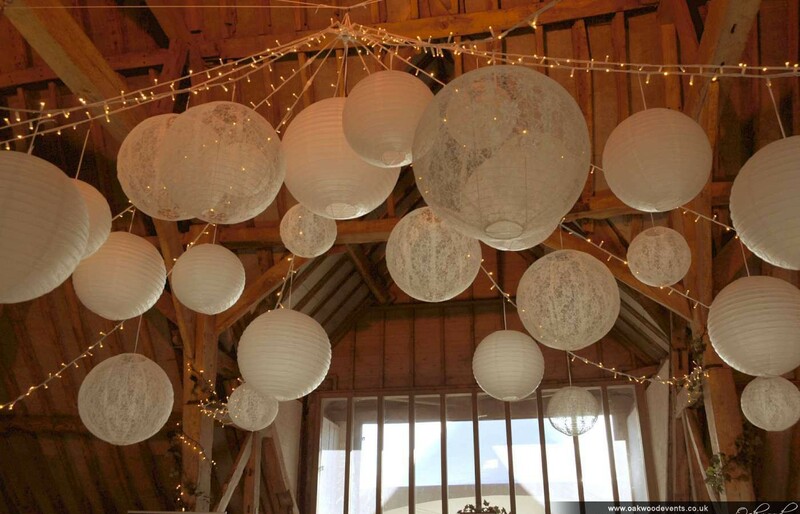 Oakwood Events Blog - Posts Tagged "Ufton Court"
Our display for Ufton Court's spring wedding fayre was this fairy light star canopy with lace and paper lanterns. 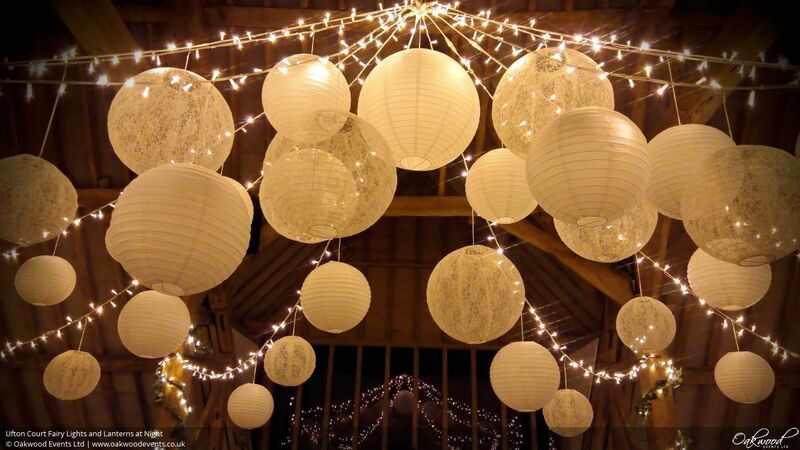 Our canopy of fairy lights with paper and lace lanterns looks amazing during the day and even better after dark! 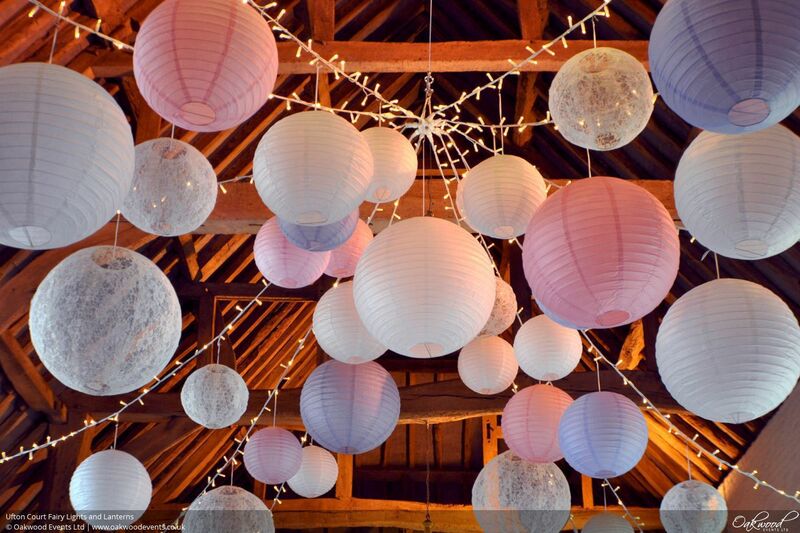 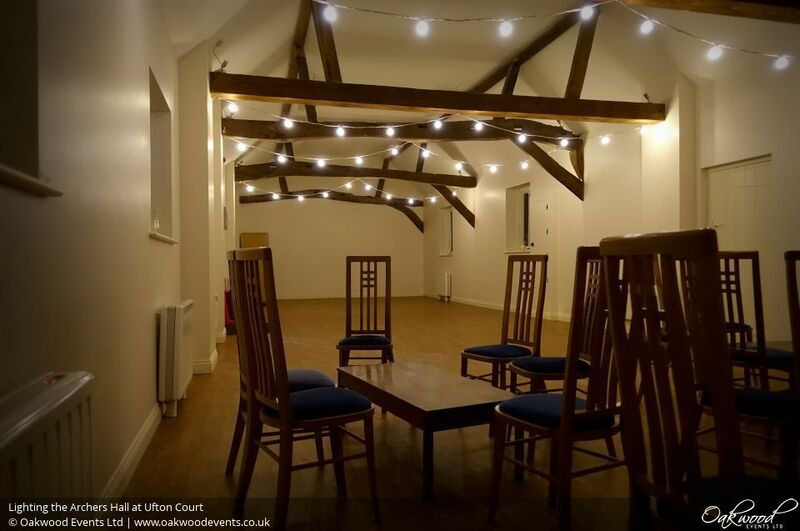 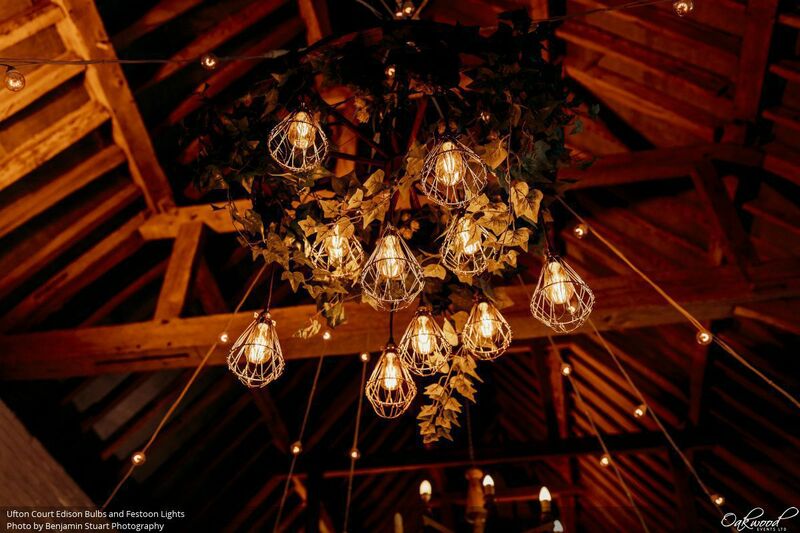 This star-shaped canopy of fairy lights with paper and lace lanterns is one of our most popular lighting designs at Ufton Court. 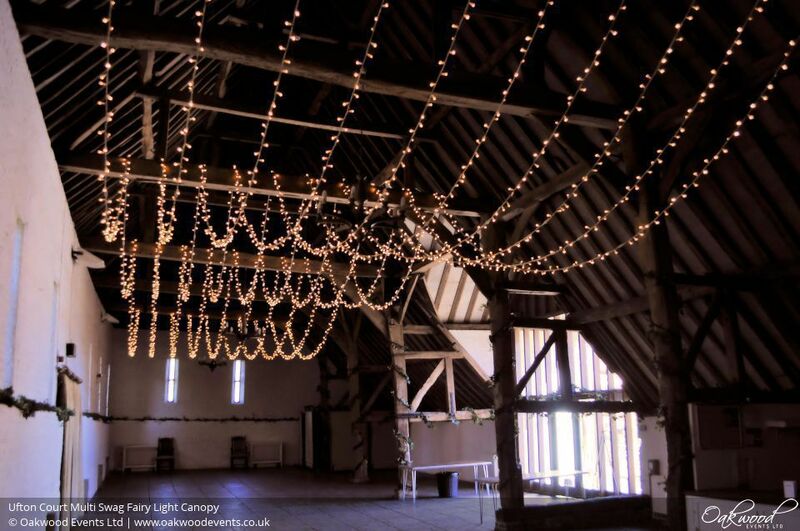 This double gathered fairy light canopy is one of the largest designs we offer at Ufton Court. 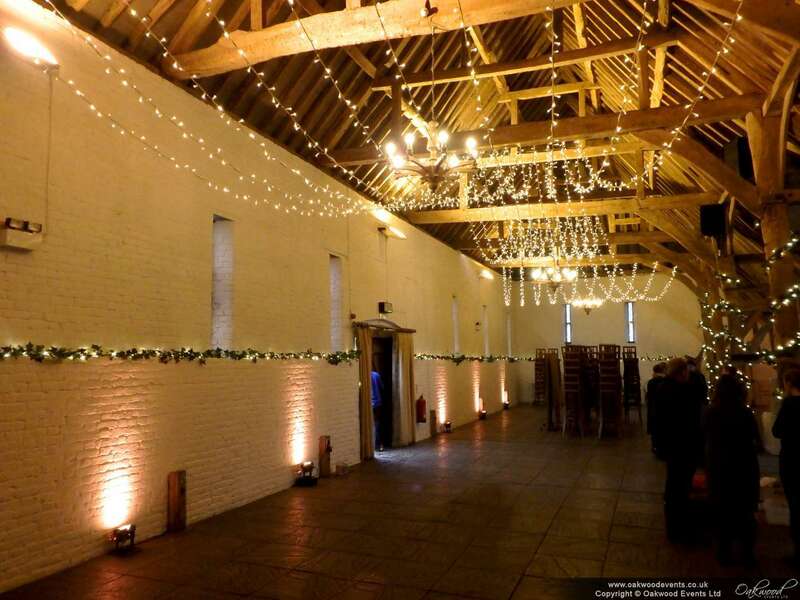 On this occasion it was installed alongside LED uplighting around the walls for a full-room effect. 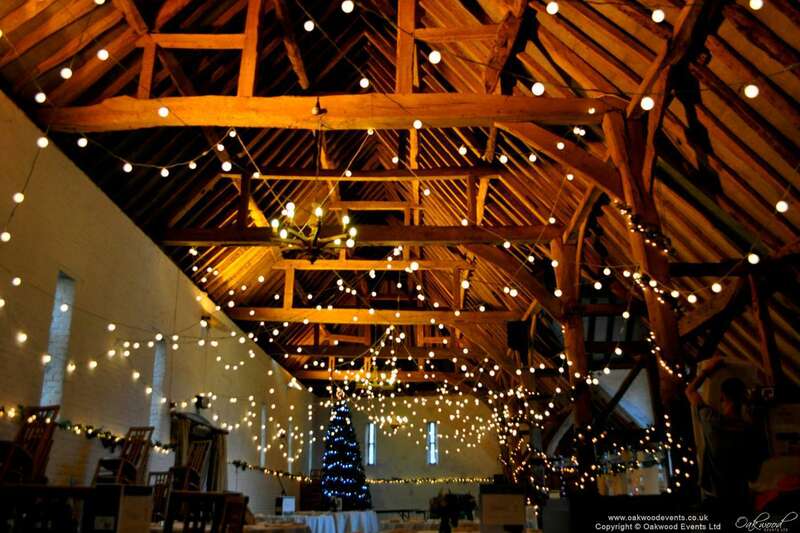 One of our most popular lighting displays at Ufton Court is a star-shaped canopy of fairy lights with paper lanterns hanging from the lights. 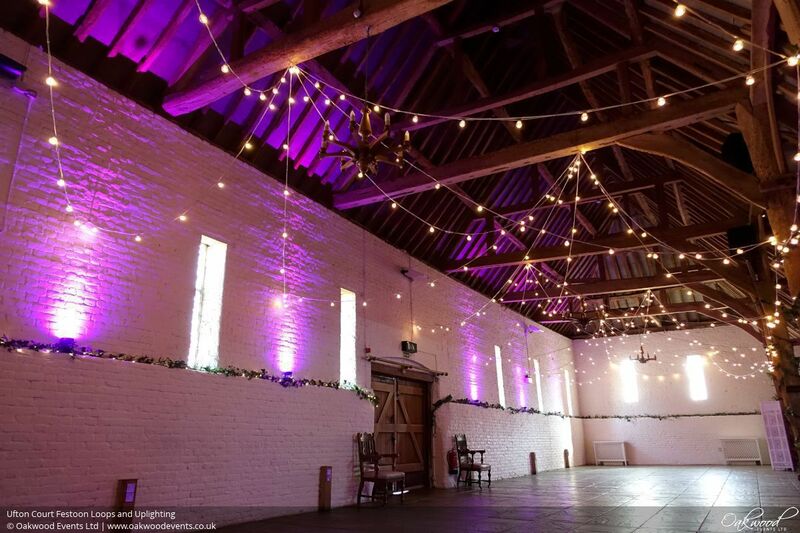 When we were asked recently to create a simpler (but no less sparkly!) 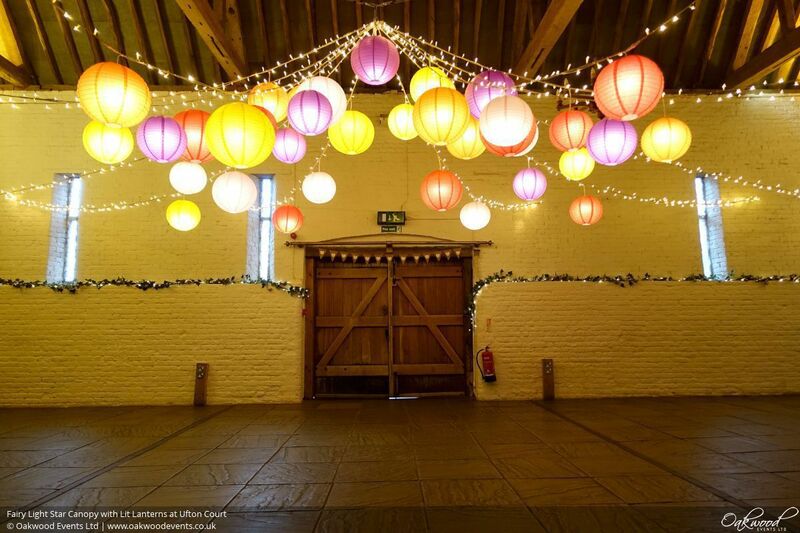 look by installing the same canopy but without the lanterns, we were only too pleased to help. 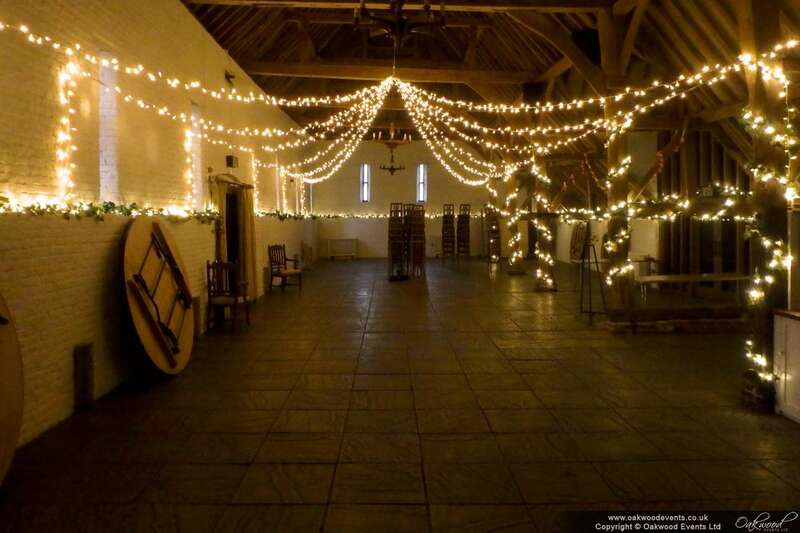 We seem to have been at Ufton Court a lot in the past year! 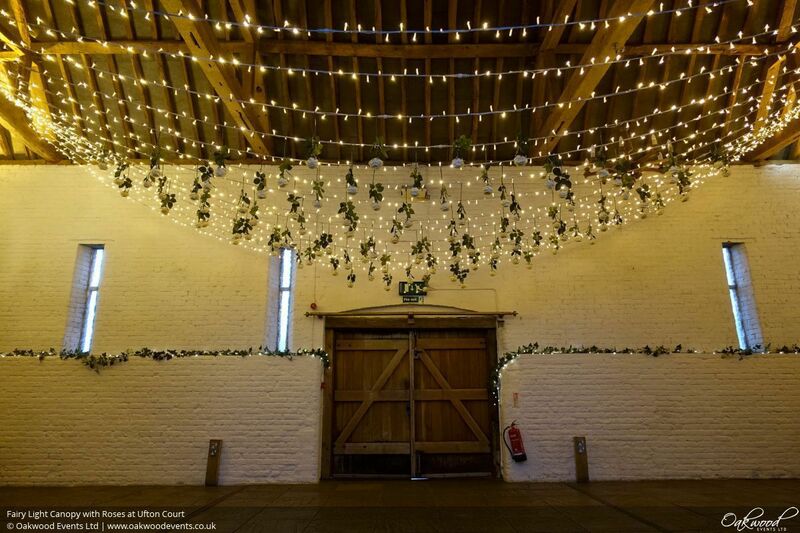 We've built up quite a portfolio of different designs, including this one which makes use of the high beams to hang lots of random loops of festoon lights all over the main barn. 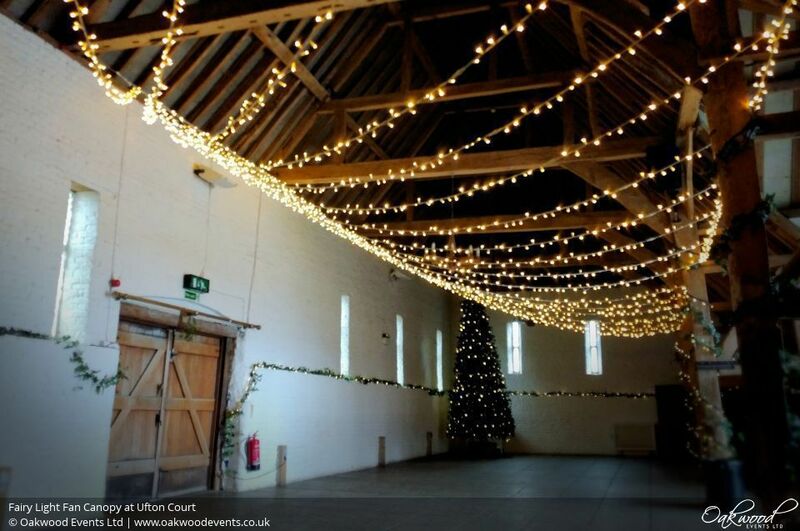 Lovely to be back at Ufton Court again last week, this time to install a large single swag canopy of fairy lights for a wedding ceremony and reception in the main barn. 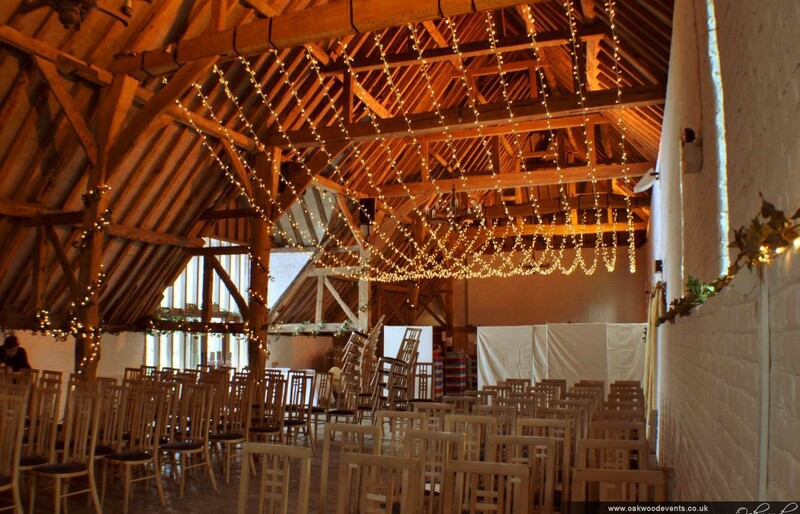 Ufton Court is one of our favourite venues, and with good reason! 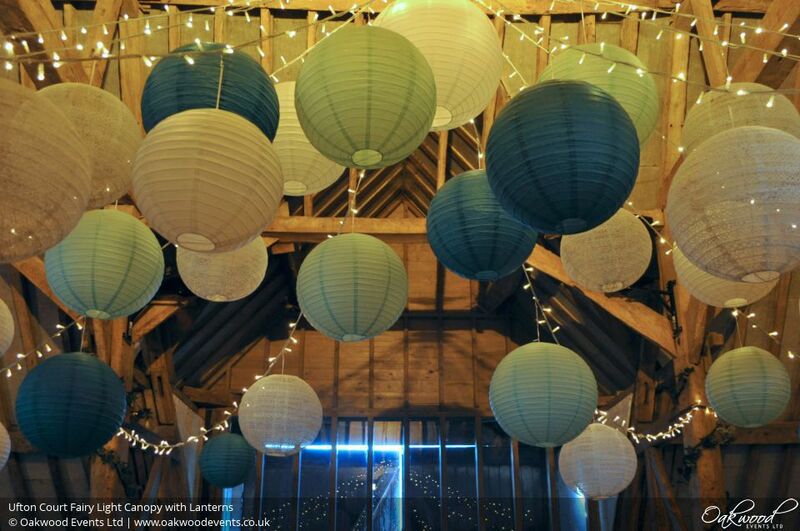 The staff are lovely and the barn is perfect for decorating with fairy lights and paper lanterns. 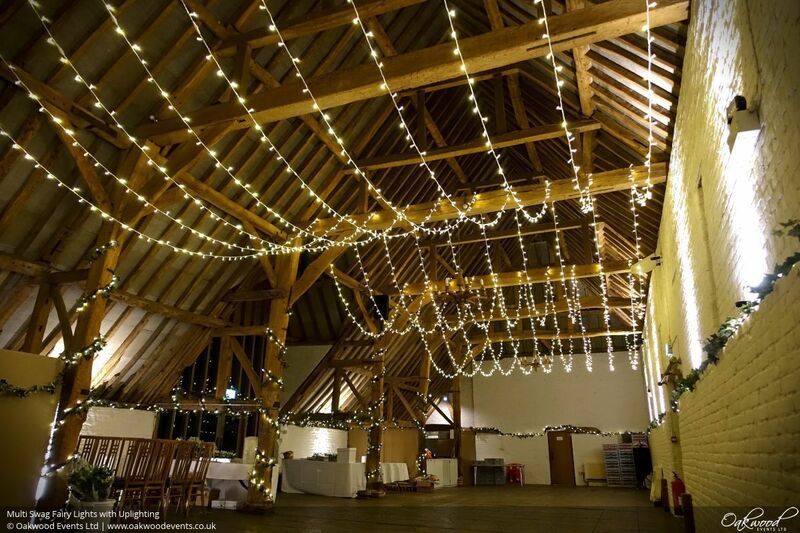 The Tithe Barn at Ufton Court is quite large and has relatively high beams. 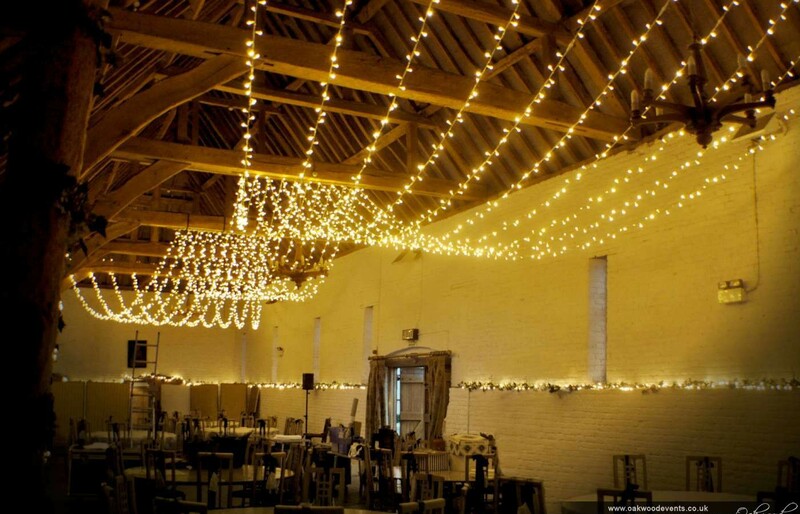 When we were asked to recommend a real wow-factor lighting installation we suggested a double gathered fairy light canopy. 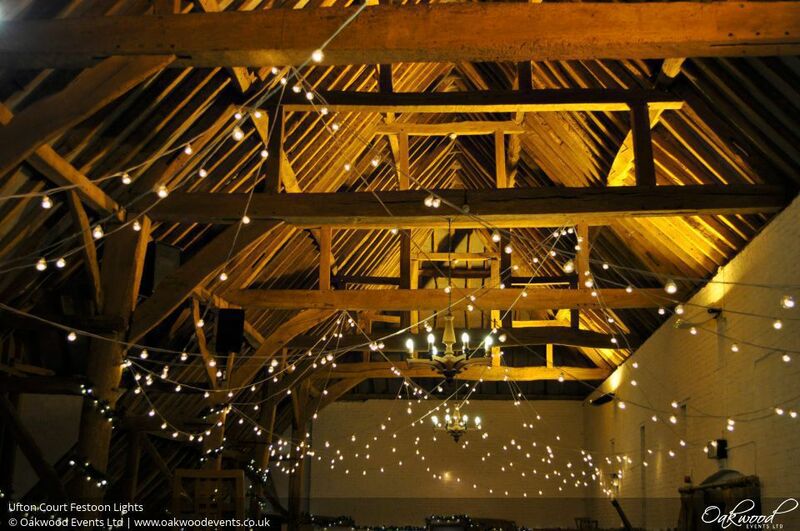 This means running several strands of lights along the length of the barn suspended from four beams, spaced close together on the middle two and wider on the outer two.